Excellent watch, with brilliant service from Watch Shop. Very prompt & efficient. 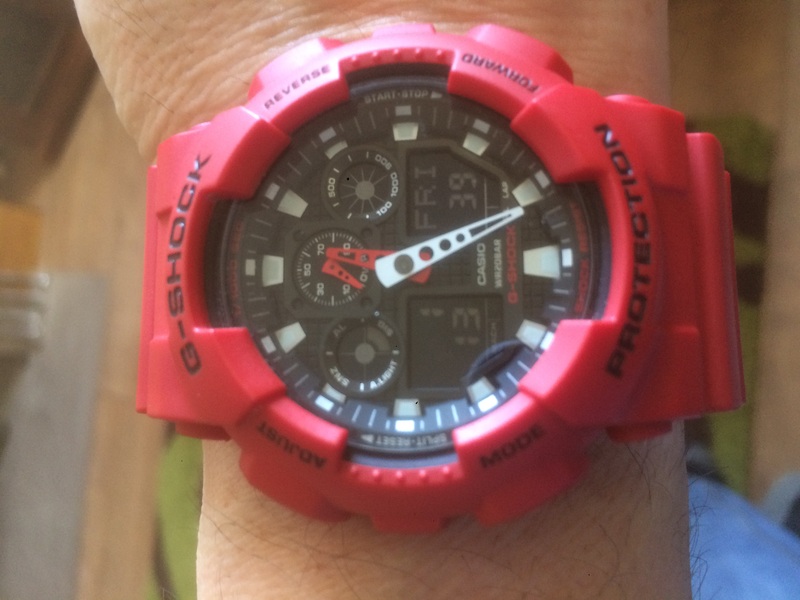 Bought a Casio G- shock watch for my grandson at a great price and it arrived the next day ! Fantastic service and great watch. Would definitely recommend and use the watch shop in future ! I bought this watch for my bf. Is really nice, good quality and great price! Excellent website, easy to use and very quick delivery. Great value for money, bought for nephews birthday, a watch that matches his active lifestyle. Excellent service, price and communications from Watchshop. 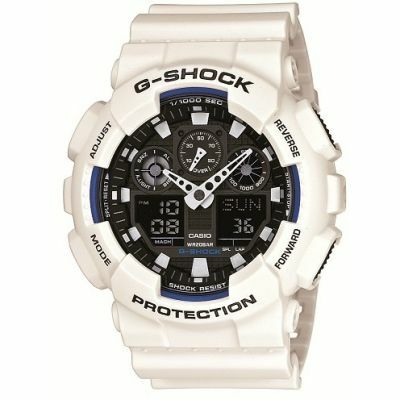 My son will have 4 G shock watches including these, they are the absolute don and if its good and tough enough for the worlds armed forces then they should be fine for everyday use....... variuos models in a spectrum of prices, always on trend...buy with confidence trough the Watch shop you will not be dissapointed. The watch purchased was a G - Shock because they are useful at work as less protected watches can get damaged. Resetting the time was easy and the other timer functions were standard as I have had a lot of these watches in my working life. I like the watches that have both digital and clock face on them and the red colour of this watch is different from your standard black watches. So far it has been a good purchase and at a better price than the shops were offering. 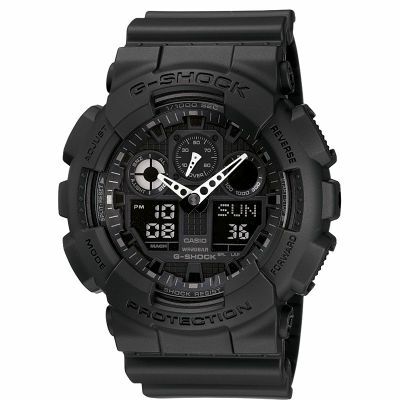 Been looking at G-Shocks for a while now. This watch is the bomb! Absolutely loved the watch. I bought it as a present for my fiance as since weve been together for five years he has been wanting this exact watch. But no matter where I looked it was just out of my price range and was never on sale. I saw it at this price and saved up to bought it. He absolutely loves it and its one of the best quality pieces of kit hes ever had. His words not mine. Absolutely over the moon and it arrived two days after I ordered it. Absolutely brilliant service. Brilliant price and brilliant prouduct. Would definitely recommend. Fantastic watch, well worth the money. Love it! Excellent features and the looks.. stunning! People ask to have a closer look all the time! Great watch. I gave it to my husband as a gift a few years ago and it still works and looks great. He loves it. 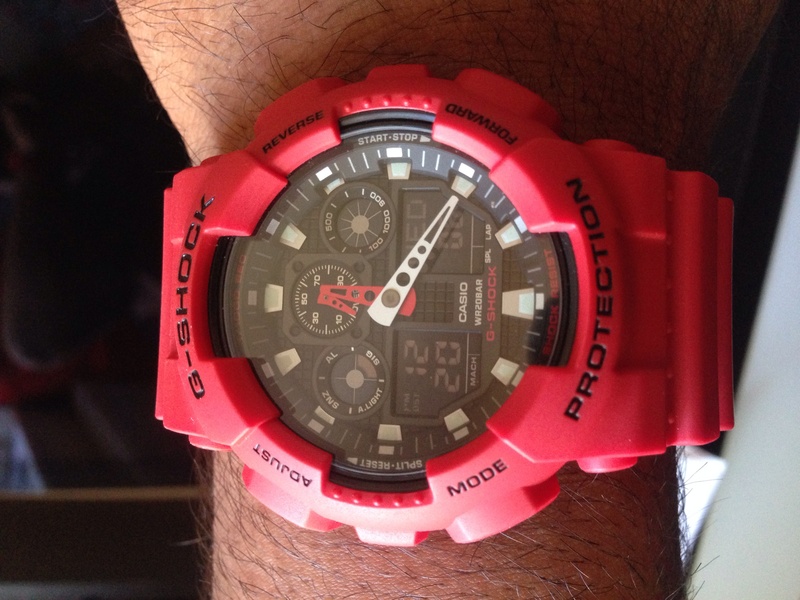 Brought this Red g shock watch as a gift. It looks like the picture. Its a large chunky watch. Shows analogue time, digital time, date and the light is enough to light the display. 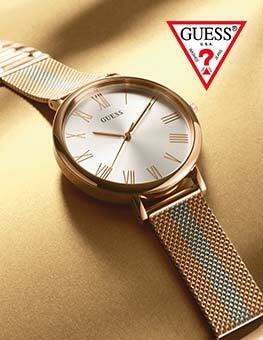 Its not a heavy watch and if worn to work is easy to clean and will take all knocks and bumps without a problem. The strap has a Matt finish. Simple to set the time and date. Fab gift for my boyfriend who was extremely happy and doesnt want to take it off! Great service, well done. Oh and a great watch. Bought this watch as a holiday daily watch and its great right size for me and nice and bright. Fantastic product. Arrived very quickly. Exactly how it looks and my boyfriend loves it. Great watch and price. Brilliant service as usual. Will definitely use again. Watch was perfect. Delivery was on the date that was proposed. Top service. Such a class watch! Its got so much stuff in it probably too much! Comfortable to wear! Big watch but incredible light! Only complaint would be unable to see the hour hand when its dark and using the watches light! But that is being extremely picky! Fantastic watch with great delivery time and fantastic service! Excellent Watch . Good value too . Delivery arrived next day with standard delivery which was great. Arrived as described which was a relief as you never quite know. Unable to falter either Watchshop or Casio. Service and choice was great, and the watch was everything I wanted for everyday abuse. Happy man. This watch is fab. Just does everything it says and it looks even better than in the picture. I have the full black one aswell and there both just brill. Well happy with purchase and a brilliant speedy delivery. If your thinking of getting this watch, do so, you wont regret it. Really nice watch, everyone compliments it. Only thing not great is the hour hand is not massively visible, not a big deal though. This is the second watch Ive purchased from the Watch shop and have never been disappointed with their service and also they are by far the cheapest on the net. The watch is well packaged and comes in a presentation box with all the warranties and instruction manuals. Very pleased with the size it is big but surprisingly not obviously when worn. All the functions work well and fairly easy to set up even with the extra small manual. The colour is striking but if youre bored with the standard black G-Shocks then you definitely wont be disappointed. A couple of downsides is the smaller digital displays are difficult to see in poor light as they are grey on black and the illumination isnt really sufficient to light up the hands/screen but for its price these are just very small niggles. If youre after a sports/casual watch then I believe you cant beat a G-Shock for looks and functionality! My other G-Shock has lasted me for over 21 years and still going strong. I highly recommend!! As i bought this as a gift ,I do not wear it ,however on viewing it on arrival I have to say it was quite stunning . Brilliant purchase .Great price & arrived well packaged Recieved it next working day . Great looking watch. Should keep it for myself but its a christmas present for my son. Bought this as a Christmas present. Process was quick and easy and loved the next day delivery service on a Saturday. Normally have to pay a fair bit extra for that. All in all a very straight forward hassle free experience and Id definitely use the Watch Shop again. Beautiful watch, picture doesnt do the red justice! Ordered the watch on a Saturday afternoon and it was delivered the following Monday. This is my 2nd G-Shock and they are fabulous. This one is to be used for cycling / swimming and it looks fabulous. 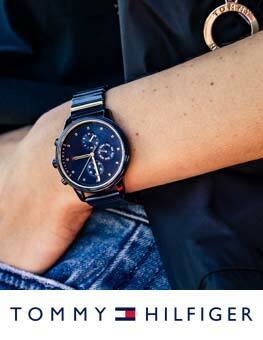 The fit is good and the strap has plenty of length to wear the watch over a jersey or wet suit. easy to set up and lots of features. Fab website and service! Knew exactly what I was getting as have 20+ G-shocks,very quick postage and a good price,However wouldnt match a price I asked to match. Only downside on the whole purchase,will use again. Love it, wicked colour too. Definitely would recommend this product. Fantastic watch. Very convenient collection from shop. Brilliant G-Shock build quality - Watch is solidly built, but flexible, strange how perfectly balanced the two aspects are. Nice stylish design - Love the red colour, large face, and the dual time system looks really cool. Very comfortable strap - will fit any wrist size. Not much more to say. Its what you would expect from G-Shock, an I have no complaints. As a gift I would recommend it to someone between 16-30, or a sporty person. The watch looks great, I love Gshock watches,delivery was very good turned up 4 days before my birthday. This is a beautiful watch. I first saw them on a recent trip to Australia and decided I must have one. Was tossing up for a long time between the red one which I bought and the yellow one which I was lusting after but in the end the boss said she preferred the red one. If Im honest, I found the colour a little disappointing as it has a matt finish which makes it a bit duller compared to the glossy yellow one. Its a comfortable watch to wear easy to take off and put on. I like the many features is has including the dual time with the digital and analogue displays. I havent worked my way through the whole instruction book yet to work out how everything works, but I think I will have fun doing so. The only other slight let down is that the light isnt very bright and so it is still hard to read at night time despite the glow in the dark numbers. Other than that, its a lovely watch and I am very happy with it. 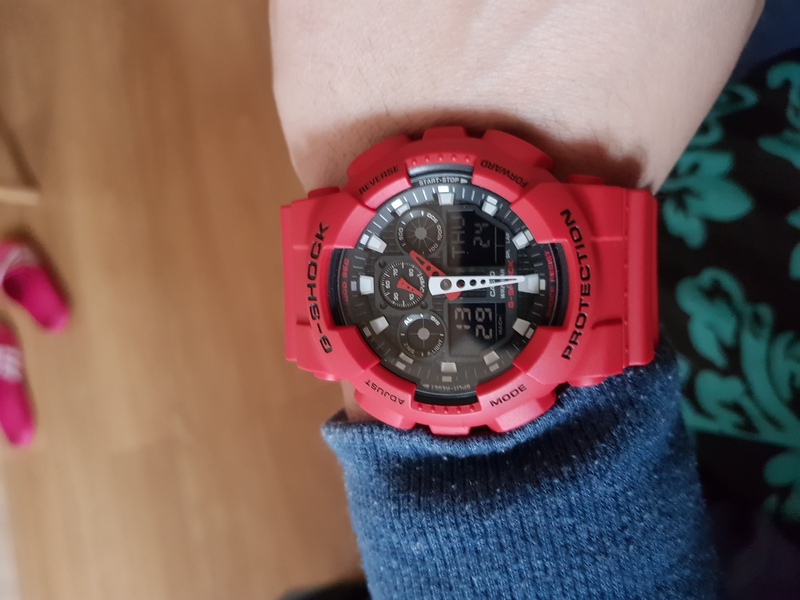 I purchased the G Shock watch for my boyfriend as a birthday gift and he loved it! The colour was fab, just as described in the picture. The watch looks very stylish and the face has numerous different clocks and shows the date. I am very pleased I chose this one! Very pleased with the watch, the red colour is striking enough to make people notice but not so bright that it creates colour clashes with your outfit!! All functions are easy to use and the auto illuminator is very handy at night. Although from the oversize range it fits very nicely and is comfortable to wear over long periods. 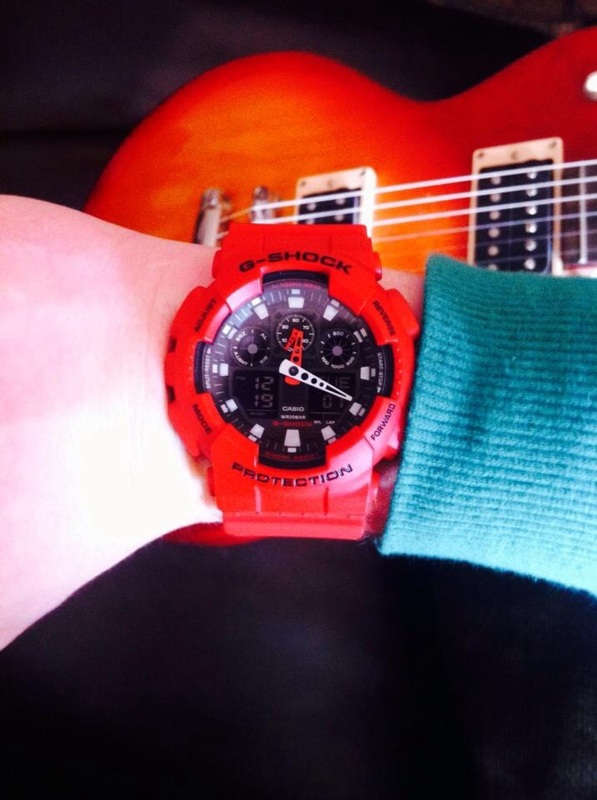 I have a collection of G Shock watches and this is definitely one of my favourites. I recommend you buy this watch as it is a very nice design and it has many good features Such as digital time display, alarm, timer, stopwatch and much more. This was a good purchase as it was a reasonable price and I would also like to add that this watch is comfortable to wear and to help tell the time in the dark the watch illuminates and an LED light can be activated by pressing the reverse button. Bought as a present for my sons 16th birthday, therefore image over functionality always takes priority !! Great watch what does exactly what he wants and is built to survive the rough and ready way it will no doubt be treated. Great service from the watch shop product delivered on time and would definitely use them again. A great item at a great price. It turned up in good time and working. 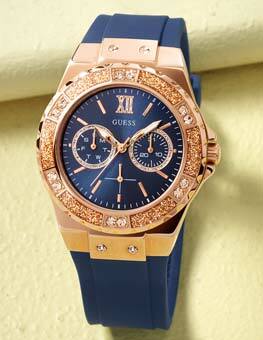 You have a great collection of watches at great prices and so easy to find what you are looking for by make or price. Excellent watch at a reasonable price! Colour is fab! Purchased for a present and very pleased with the product! My partner loves this style of watch and the price was amazing for a G-Shock. In the actual store the price is as shown on the site. There are no nasty surprises like it being worn before etc. The color is a deep red so looks understated as opposed to loud. Happy with the delivery time and he is a happy birthday lad! I bought this watch because of my son. He likes the color and it is in fashion. Its so very different to the other watch. Excellent watch for my 13 year old son. Its well built to take a few knocks plus the watch has a stopwatch/timer back light etc. We shopped around for the best price and yet again the Watch Shop proved the best we have purchased from them before and will do so gain. The G Shock watch was exactly as described in the bio of the watch. Very comfortable to wear and looks stylish in Red. For the price of the watch you are getting a very good deal and cant complain about anything with this Item. Top buy. Good quality product at a very reasonable price. My husband is very happy with his birthday present. Good watch, reasonable price, accurate timekeeping. It did take a bit of doing to get it set properly. I finally asked someone to help me, and they did, and suddenly it was working. This watch is nothing short from perfection! Stands out with its colour and precise detail, the watch is very big but doesnt actually feel like your wearing it! All round watch, mainly use it for gym, sports and casual wear, also in the pool! With such a cheap price tag, I knew this watch was the one for me, there nothing this watch cant do! In all honestly, this watch is nothing short than fantastic! 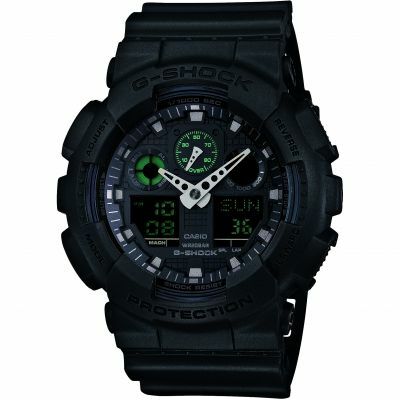 This G-Shock was an eye catcher ever since it went on sale, the cheapest site to get a quality watch! The massive face and intense detail shows off dramactically to friends! Its also pretty much indestructible! I where it for playing sports, gym and also casual wear! Also wear it while swimming, theres nothing this watch cant do! Now I have a watch like Guy Martin, lets hope it improves my motorcycling too !!! A great indestructible watch. Think the red hour hand should be white as the minute one. Looking forward to having it for many years like all Casios...... they dont break down or wear out & only change them for a different view !!! 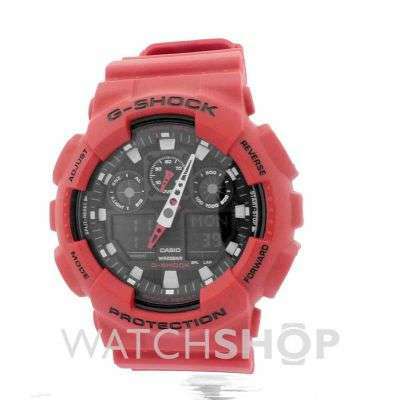 Really with purchase, nice bright colour and larger than other g shocks. Looks to be quite hard wearing as all g shocks do. I wear in an engineering environment where the tough plastic casing should protect the watch. He likes the design and the color. The size of the face of the watch is just perfect for his wrist. Bought for my husband as a gift. He loved it! Did exactly what it said on the tin and looked great! Excellent Customer Service from Watch shop as I had asked for a price match! Would definitely purchase from Watchshop again. Comfy style and fit. Instructions provided were clear describing how to change the time and set the watch up. Easily adjustable strap. Well packaged ensuring no damage to watch on delivery. Really lovely watch. Bought for my husband. 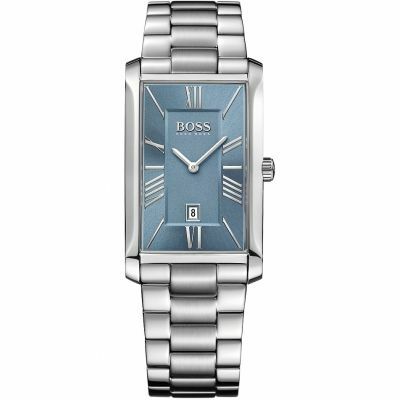 I have the Mens White version of this watch, and its just brilliant! Recommended. Great colour! Perfect gift, recipient will not be disappointed! Its a Casio, whats not to like??? Great colour, easy to use and set up. Manual print is to small and is way to bulky to carry around. What a watch, if you like a rugged and stand-out-there watch this is a belter. If youve heard of Guy Martin isle of man racer youll know this is the watch he uses. For this reason I went for this watch also I had a previous G-Shock watch that never ever let me down and I still have it. Only downside is the glow in the dark bit on mine does not charge up very well. If youre a mechanic or technician, be it what ever profession this is the watch you need. I use mine whilst racing as I can also do split or lap times. Been looking at this watch for ages ,after getting some money for Christmas decided to take the plunge. I bought the red version as it stands out a bit better than the black or white ones, love the fact its digital and analog displays , and world clock functions . Also use stop watch quite a lot . The product itself is fantastic! I actually brought it as a gift for my little brother who now is 12. 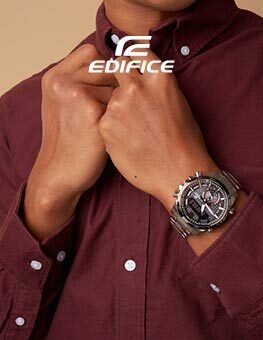 Even though it is a mens watch, the fastenings on the strap means that the watch fits him perfectly! A nice vibrant red colour adds to the boyish theme. The watch is fantastic, its a world clock and automatically adjusts to the location you set it to! My little brother loves the watch! It come nicely packed and at a decent price, so overall I am very pleased with this purchase : would definitely recommend. This is a great watch. I bought it as a gift for my hubby and he loves it!! He was after an everyday watch and this fits the bill. Its lightweight but sturdy, and it looks lovely. This is a great looking watch, it feels light yet you can feel the quality materials that were used to make this watch. It has an analogue clock and also 2 digital displays that are used for the different features available. I bought this watch for its durability, as I have had problems with watches before breaking on me as I have quite a manual job and can take a battering on a daily basis. This watch has more than stood up to my daily wear and tear, not a scratch has been made on it and looks as good as it did when it came out of the box. The watch has many useful features including a countdown timer, 24 hour digital clock, several alarm clocks, split and lap stop watch, the ability to get the time from most major cities that show up on the two digital displays. There is also a backlight, and the ability to automatically light the display when you turn the watch to face you. There are a few other features but there are the major features and the ones I found I would have most use for. The instruction book that came with the watch gave clear instructions and after reading through once I was able to use nearly all the features without having to refer back to the manual as one you know how it is a simple watch to control considering the amount of features available. This brings me onto the negatives that I came across. Firstly the backlight is very poor and is near useless as I struggled to see the hour hand when it was very dark. The digital displays are impossible to see when dark even with the backlight and can only be seen well if you are in a well lit area. Overall I am very pleased with this watches style and functionality and the negatives do not cause me to much of an issue. I have had a number of people complement me on my watch and how nice it looks. I hope this review held someone, thanks for reading. Only need to say 1 word AMAZING!! I love everything about this watch. It was a very good Christmas gift from my husband. Very pleased with this watch...being used as a work watch...only point to make is i thought it might of been a brighter red but all in all a brilliant purchase for the price. Watch is awesome! Usual g-shock quality and then some! Very happy as always with g-shock products! Should last a lifetime! Great colour, size true to description.. Looks good as a casual wear watch for a special man in your life. Its great for weekend and holiday wear. Looks more expensive than it costs. Nice watch, feels pretty indestructible. The digital part is quite insignificant and not very clear, but the watch arms look great. The light doesnt seem very powerful but havent actually tried it in the dark. Cant, its wrapped up! Nice feel to it, not shiny or plastic. 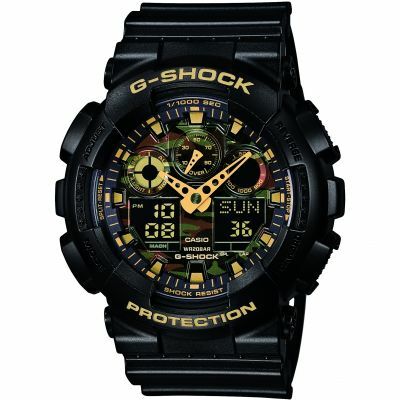 Overall I would recommend it but I personally prefer other G-Shocks. First class product easy to understand instructions. Safe and secure watch strap. Light weight and comfortable to wear. First class service from ordering the watch to tracking the product to delivery from Watchshop. Packaging was secure for delivery from the firm. The watch I ordered was great I love the colour and size as well as the strap. The strap has twin fastenings to make it very secure. The functions on the watch are great with the normal functions you would expect ie Stop watch, alarms ect. The face is clear and very easy to read and also having the day and date is very useful. Having purchased this brand before this is the best one yet. This Casio is a lovely piece of kit, feeling substantial yet not too cumbersome. Its exactly the sort of thing that Id been hoping for. Its bold not just the colour with a clear, well laid out face. Buttons are easy to select, when on the move and accessing the functions doesnt involve too much head scratching. Yes, the instructions could be a little easier to follow, but nothing that cant be sorted out with a few minutes patience. So, so far so good. Im hoping itll be the sort of watch thatll take some serious punishment I might cave in first and its certainly not something that Im going to lose in a hurry. Other than the colour, I do like the way theyre set out the digital functions along with the analogue, swept time. Oh, and thanks to my very kind and generous Mum! Merry Christmas! Brilliant product. Nice sharp colour. Nice watch, very red. Highly recommended to anyone. Delivery was extremely fast so i would most definitely use watch shop again in the future. Excellent everyday watch that fits well, is easy to use and also looks striking and not your normal run of the mill black. Very nice watch, the real life colour is far darker than whats in the photo which is good. Shame there is no digital display light for darkness. It look amazing, perfect for working in, hard wearing and fashionable. The colour stands out and makes people notice it. Bought this for my Son and hes had Gshocks before so we knew what to expect. They come in really cool packaging and do exactly what they say on the tin! Bright, rugged and easy to use. This watch is very well made, a tried and tested formula. All in all highly recommend. outstanding watch. Just what I wanted...Price was the best , after researching other sites. The watch arrived in good order and my partner loved it! Great service and amazing products, cheaper than on the high street! It was a Christmas Present, but I couldnt wait and I was not disappointed a brilliant watch, had one some time ago so I knew it was going to be a good but anyway. Stunning watch! All the features needed. Although its a rubber type grip it doesnt feel cheap of get sweaty! Its rugged and doesnt mark easily! Could not be happier! Lots of people have said how nice it is. Ordered the watch,came next day excellent service I would recommend Watch shop to my friends. Great watch! Very comfortable to wear. Has a digital and Analog time. Its a very stylish, ever wearing watch. I love the color red, elegant when in Denims - gives a good contrast when wearing white or black. The screen can also be backlit. This watch isnt as bright as it looks on the website it is far nicer in reality and I have received many compliments already as it is hard to miss! 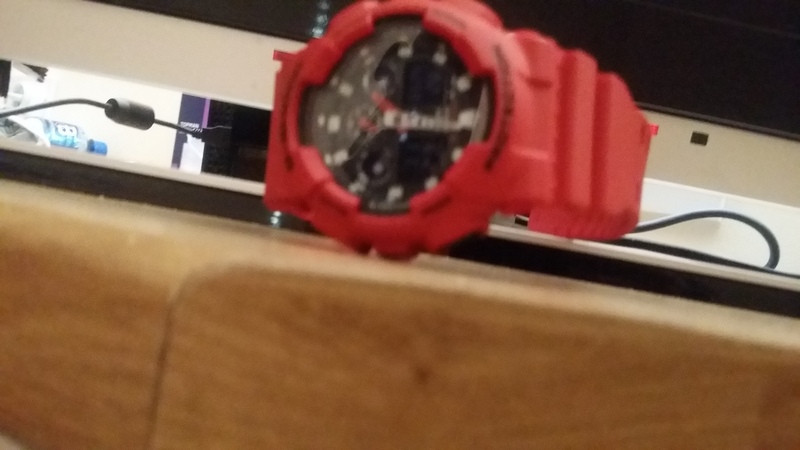 The only downside is compared to my other G-Shock GW-4000 the quality isnt quite there in the construction of the strap as it can squeak at times, having said this it is a small noise and when your out you dont notice it. Over all the watch is easy to use once youve read G-Shocks bible of a manual which can be found as pdfs online. If you need a solid watch for your work this is a good one I go climbing and canoeing with these regularly. Unit is working excellent. Easy in use/easy to setup. Great product, received as described. 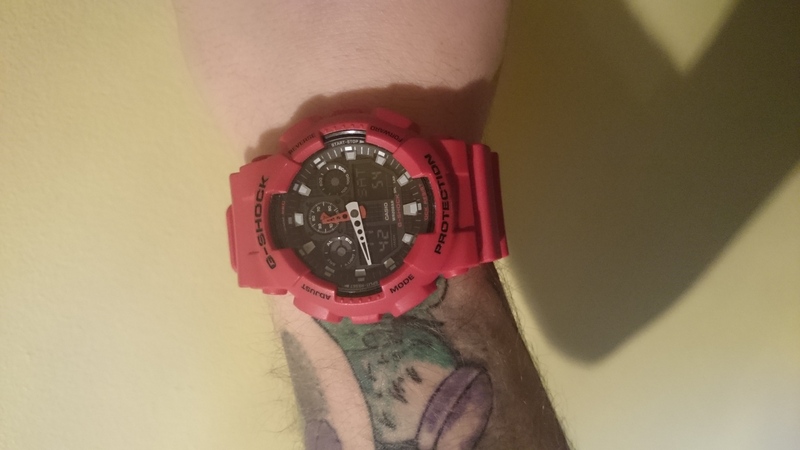 Ive always wanted a G-Shock and it hasnt disappointed, hardly stopped wearing it since it arrived. Would recommend to everyone!! Great, unique looking watch. Stunin . Unique colour which is not popular for a watch. Very simple in style but that makes it more interesting. If you are looking for something which will be different than what you already have it is good choice. And it is very simple to operate. Doesnt have fancy features which you will not use. 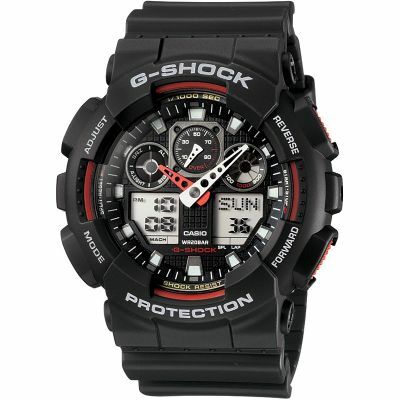 Brilliant service and with G Shock you cant go wrong really. Watch was received the very next day. I was kept up to date regarding the order and delivery. I bought this for my sons birthday. He loves it because he can wear it to work because he knows it wont break. He likes the colour as its not too bright. It has all the features he needs. great looking watch but VERY difficult to see the hour hand as its red and very small.... If it wasnt for the fact that I need the watch so urgently I would have returned it for an exchange. on inspection its a good watch, nice size, this is a gift so cant comment on other things the watch can do. I was tempted by a g shock for a while before I bought this one, glad I did! Great top quality feel about it, the list of functions it offers is as long as your arm, did take a good half hour read through the instructions but all worth it once youve set the watch up, great buy on the sale price I got it for! Cool Watch to wear. I had the same watch in black colour so I bought the Red Shock and this looks even better . Bought this for my nephews 18th birthday and he loves it!!!! He likes the fit and style and especially all the features. Really nice looking watch. Fantastic design, colour and functionality. You get a lot for your money and they last for ever. I wear it mainly to the gym and for cycling. Its pretty big so if youve got small wrists then it could be a bit overwhelming. The watch was delivered really quickly. 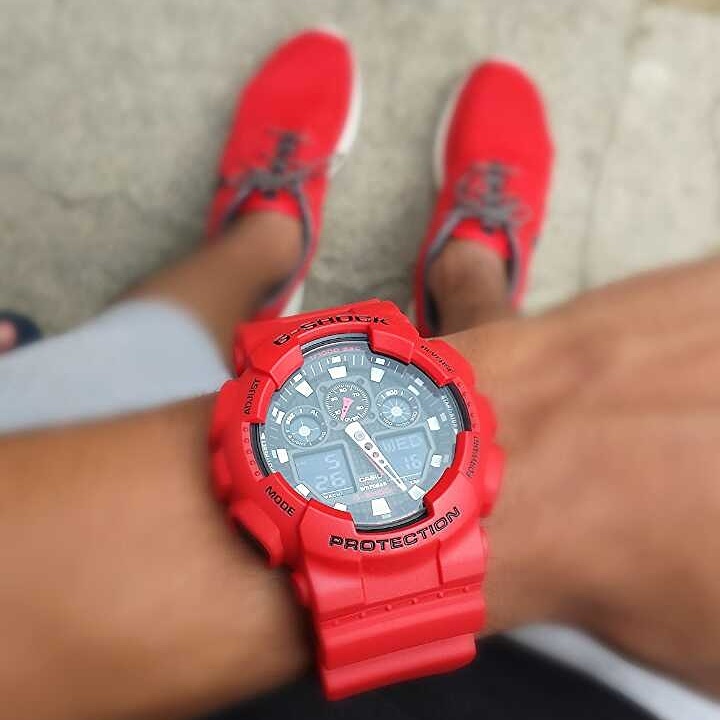 Its a great watch and I like the red colour. Its also a good large size. I do love the colour and design of the strap. The watch is very comfortable to wear. I like the big face an can see it easily without my glasses. The digital features are excellent. The only thing I would prefer is that it was in a choice of colours. Bright colours as I feel it suits the design of the watch. It is certainly worth the money. Delivery was swift and arrived when expected. The watch was bought for my son for his birthday, In his words the watch is.....epic! He loves the way the watch lights up and very stylish for a young boy. Bought this for my teenage son he loves it, great for everyday & playing sports! So many gadget bits he was off play station for hours! He loves the red colour and the face lights up really brightly so no excuses for him coming home late, hes now looking at different colours, luckily this was excellent value. Brilliant watch. Arrived the next day a Saturday without any extra costs. Well package. Great watch, really comfortable. I use when riding my bike and comes clean with just a little warm water. The G-Shock is very good for me, becasue it is made from very good material and looks nice on my wrist. The features the watch offers is very good, liked the date, a light for easy view in the dark and stopwatches with laps. The only bad thing about is the light can sometimes not be very good, becasue it shines the light to the top, not on the watch hands. The colour is very nice, becasue red and black is a classic collection. I bought this watch as a gift and it was exactly what I was after at a great price. The watch was delivered quickly and included all genuine packaging. The price was great, particularly after trying the watch on in Casio shops, this was the exact same style.